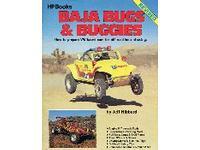 For over 30 years, HPBooks has been the leading how-to publisher for automotive enthusiasts. 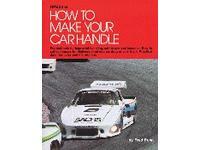 Hot rodders, racers, collectors and car nuts from all walks of life have traditionally turned to HPBooks for practical, step-by-step information on completing task-specific projects, from restoration to racing. HPBooks are not model-specific repair guides like a Haynes or Chilton. Handbooks: These are skill-building, general information HPBooks designed to increase the knowledge and skills of the enthusiast. This includes subjects like auto math, automotive electrical, composites, sheet metal, fabrication, welding, paint and body. 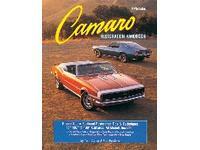 Restoration and Repair: Includes model-specific restoration books for Camaro and Mustang, as well as project oriented HPBooks for Mustang, Corvette and Classic Cars. 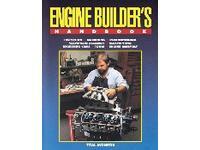 Rebuild Manuals: Step by step procedures for rebuilding popular engines to factory stock specifications. Written in easy to understand, layman's terms, with hundreds of photographs. High Performance and Racing: For racing and hot rodding. 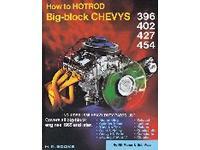 This category is where HPBooks is well-known, from the classic How To Hot Rod Your Small-Block Chevy, to the state-of-the art Small Block Chevy Performance. 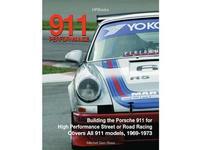 You'll find books on engine prep, chassis engineering, racing brake systems, performance ignition systems, Corvette, 5.0 Mustangs, Camaros, Volkswagon, Honda and much more. 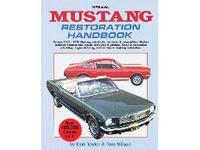 How to buy and restore 1964-1/2 to 1970 Mustangs. Covers everything from teardown to reassembly. 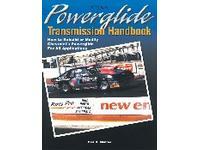 Tips on rebuilding brakes, suspension, steering, and rewiring. Plus weather-stripping, upholstery, paint and bodywork. 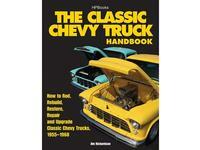 Includes parts ID and year-by-year trim changes. 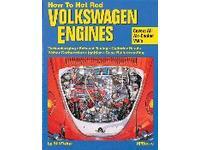 All the air-cooled engine-building basics to unleash hidden horsepower in classic Volkswagens. 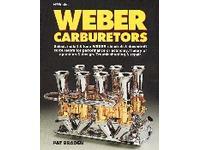 Includes tips on carburetion, ignition and exhaust tuning, case beefing, cylinder-head flow work, camshaft selection, lubrication and cooling upgrades, 6- to 12-volt conversions and much more. Plus a 6-page history of the first air-cooled VW engines. 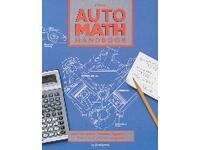 This book illustrates the mathematical calculations important to the automotive enthusiast, and includes explanations, application, calculation and examples of combustion chamber volume, horsepower, torque, displacement, final drive ratio, and volumetric efficiency. 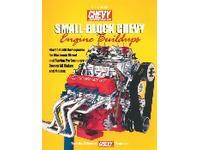 Outlines how to remove, strip, recondition, rebuild and replace a small-block engine—all in step-by-step clarity. Covers models: 262, 265, 283, 302, 305, 307, 327, 350 and 400 cid engines. Covers 1955-82. This bestselling classic has been completely revised and updated to include the latest technology from Holley Performance Parts. 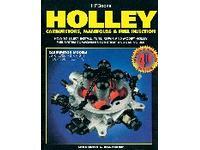 It now includes sections on the operation and installation of Holley’s Pro-Jection fuel injection systems, trouble-shooting, repair and performance tuning, and fuel system components. 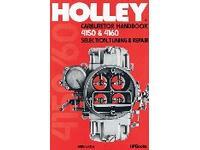 Covers carb models 2010, 2300, 4010/4011, 4150/4160, 4165/4175 and two and four barrel Pro-Jection systems. 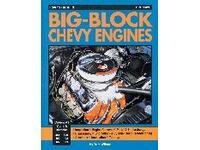 A complete guide to rebuilding Chrysler, Dodge, and Plymouth big-block engines.Fully illustrated, step-by-step instructions for inspection, removal, disassembly, reconditioning, reassembly, installation and tune-up. Also includes a complete parts identification and interchange section. 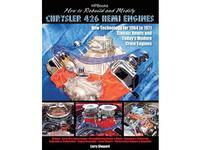 Covers 383, 400, 413, 426 Hemi and 440 cid B/RB series engines. 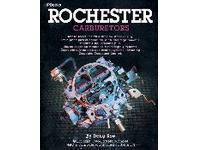 Written for the serious hands-on automotive enthusiast or professional, this book provides general tips, techniques, and procedures that form the basis of all engine building. All of the information presented is easy to understand and illustrated with photos and line art throughout. 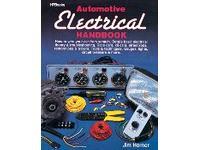 It is a must-have reference for any automotive enthusiast, racer or mechanic and an excellent learning tool for those wishing to know more. 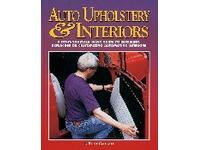 A comprehensive guide to performing basic upholstery and interior repairs on all kinds of automobiles—written expressly for the home enthusiast. Many projects can be done without sewing machines or messy dyes. Includes helpful guides on how to replace headliners, lay carpet, repair dashboards, reupholster seat frames, and much more. 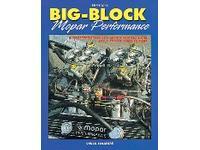 Hundreds of thousands of racing enthusiasts rely on this essential guide for building a race-winning, high big-block Mopar. Includes detailed sections on block preparation, blueprinting and assembly. First in a series of custom techniques and tips on all areas of building a street rod. 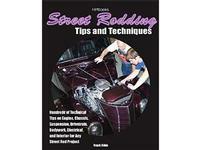 Features designing and how-to procedures on building the chassis and suspension for all types of street rods. 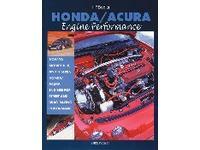 A comprehensive guide to modifying the D, B, and H series Honda and Acura engines. 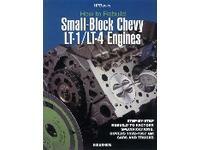 This step-by-step guide to rebuilding LT-1 small-block Chevy engines includes sections on disassembly and inspection, reconditioning the block and bottom end, reconditioning and rebuilding the cylinder heads, fuel injection systems and exhaust.Covers 1992-97. 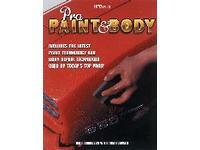 This comprehensive guide to professional paint and bodywork includes the latest information on bodywork tools, materials and techniques. Includes assessing a project car and damaged bodywork, disassembly and stripping, basic hammer and dolly techniques, and much more. 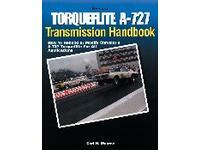 This book provides step-by-step instructions for how to modify Chrysler’s A-727 Torqueflite automatic transmission for drag racing, road racing, and circle racing. Topics include theory of operation, transbrakes/valve bodies, adapters, dissembly, modifications, assembly, adjustments, installation, high horsepower application, and torque converters. 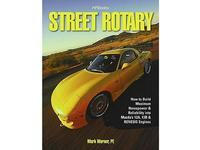 A completely revised and updated edition of the bestselling Mopar A engine performance book. 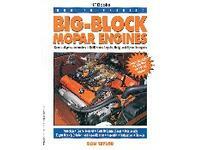 Includes new parts and technology for all Mopar series engines built from 1964 to 1992. 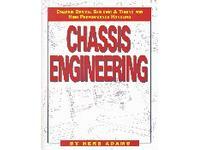 Sections include blocks, heads, camshafts, valvetrains, blueprinting, and much more. Replaces HP797. 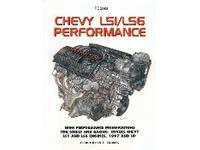 A complete performance guide for the newest generation of LS1 small-block Chevy engine. 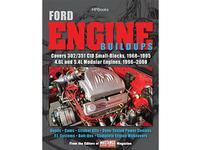 Includes sections on bolt-ons, cylinder heads, intake manifolds, camshafts and valvetrains, fuel injection, block prep, final assembly, exhaust, and forced induction. 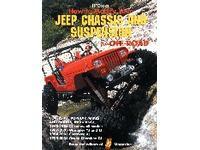 This book offers a compilation of tech articles from JP magazine, the number-one magazine for Jeep . 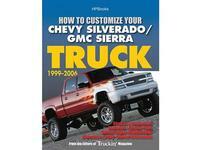 Includes articles on tires, wheels, brakes, lift kits, shocks, springs, and chassis stiffening/bracing. 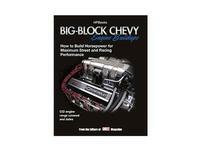 Build a better big block Chevy engine for maximum street and racing performance. 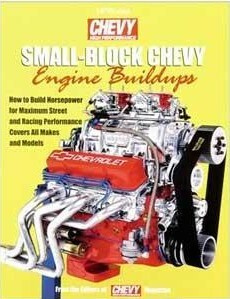 This step-by-step guide HP Books Big-Block Chevy Engine Buildups guide covers everything from low-budget engine projects for mild street performance to all-out race motors. It also covers bolt-on modifications, engine block preparation, cylinder head work, intake and exhaust systems, dyno-tested combos, and much more. 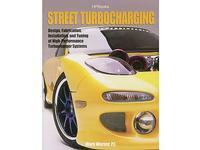 Street Turbocharging A handbook on theory and application of turbocharging for street and high-performance use, HP Books Street Turbocharging covers high performance cars and trucks. This comprehensive handbook features sections on theory, indepth coverage of turbocharging components, fabricating systems, engine building and testing, aftermarket options and project vehicles. 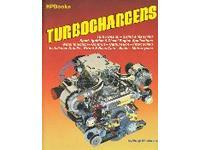 Covers "Street Turbocharging Design, Fabrication, Installation, and Tuning of High-Performance Street Turbocharger Systems. 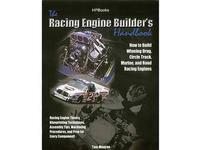 Racing Engine Builders Handbook From theory to final assembly, the full spectrum of racing engine building is covered in detail in HP Books' Racing Engine Builder's Handbook: How to Build Winning Drag, Circle Track, Marine, and Road Racing Engines. 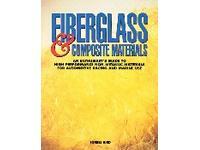 A complete guide to the theory, manufacture, construction, repair and application of fiberglass and composite materials including Kevlar, carbon fiber, and other reinforced plastics. Sections include: FRP materials, fibers and forms, resins, gel coats, advanced techniques, and building molds and plugs. 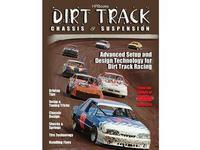 Dirt Track Chassis & Suspension Comprehensive and fully illustrated, this technical guide covers all aspects of setup and design for dirt track racing. 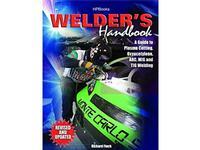 Welder's Handbook, is a revised and updated classic handbook with the latest available information. It is a straightforward, easy-to-read handbook that is sure to be of great value to the novice or very experienced welder. 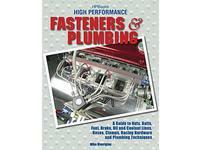 High Performance Fasteners & Plumbing The essential reference guide for understanding and selecting the right fastener and plumbing hardware for any automotive high performance, custom or racing application. Includes sections on threaded fasteners, torque procedures, thread repair, wheel fasteners, engine studs, rivets, brake and coolant lines, AN hose assemblies and clamps. 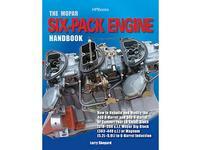 Mopar Six-Pack Engine Handbook Comprehensive reference on rebuilding and modifying Chrysler's famed 340 and 440 "Six-Pack" engines, from the 1969-1971 originals to today's modern crate motors. 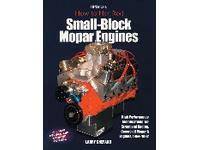 Includes sections on history/ID, short blocks, heads, camshafts, valvetrain, induction, and conversion tips for LA small blocks, Mopar big blocks and late-model Magnum engines. 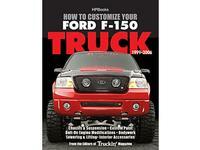 Step-by-step photos show you how to improve the handling, appearance and performance of your late-model Ford F-150 truck. Topics include lowering and lift kits, custom paintwork, custom body kits, simple engine modifications, custom interiors and electronics. Ford Engine Buildups A guide of more than 35 complete engine buildups offering different performance levels for several generations of Ford V8 engine families. Each buildup features a target goal of performance and horsepower levels, a list of components and combinations on how to achieve them, installation tips and dyno test results. 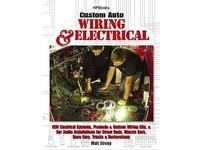 Custom Auto Wiring & Electrical This indispensable guide to high performance and OEM automotive electrical systems covers electrical theory, wiring techniques and equipment, custom wiring harnesses for racing, hot rods and restorations, pre-made wiring harnesses, special electrical systems (navigational, audio, video), troubleshooting common electrical problems, dashboards and instrument, and trailer wiring. 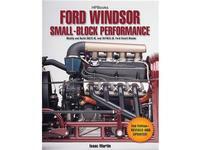 HP Books HP1558 Ford Windsor Performance. Modify and Rebuild 302, 351W Engines. 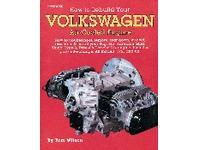 Step-by-step directions for rebuilding any air-cooled VW engine, from the Type-1 Beetle to the Type-4 used in the 1983 VW Bus.Describes engine teardown, inspection, reconditioning, assembly, installation and tuneup. Complete parts identification interchange. Gives step-by-step instructions based on a minimum use of special tools. 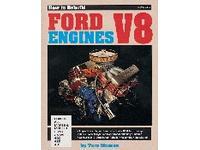 Owners can determine whether engine needs rebuilding or just simple maintenance. Rebuild steps are illustrated from beginning to end. Covers all years and models: 351C, 351M, 400, 429, 460. 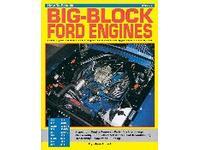 Covers all big-block engines from 1965 on. How to modify Chevy 396/402/427/454 engines for superb acceleration and top speed. Covers clearances, torque specs, tuning, headers, manifolds, heads, valves, pistons, cams and much more! How to set up chassis for highway, road course, drag or oval tracks. 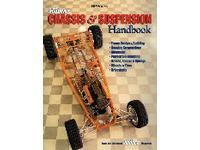 “Suspension secrets” are explained in clear and concise detail. 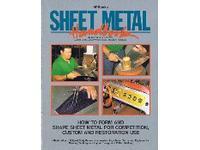 Detailed information on how to form and shape sheet metal for competition, custom or restoration use. 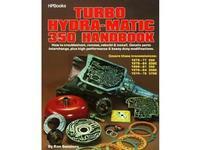 Chapters include hammer forming tools, terms and equipment, riveting techniques, layout, design and pattern-making. 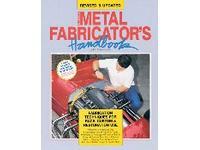 A great companion to the Metal Fabricator’s Handbook. 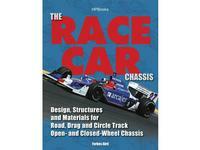 How to build structurally sound, good looking metal parts for custom street rods, race cars or restorations. Over 350 step-by-step photos and instructions illustrate proper welding, metal shaping and design techniques. 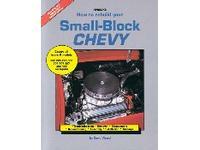 Covers all big-block Chevy engines from 1965 to the present. Tells how to do a complete overhaul or a simple parts swap with sections on parts I.D., interchange, trouble-shooting, parts reconditioning, and engine assembly.